Fangirl Review: Guile Flash Kicks His Way Into Street Fighter V! 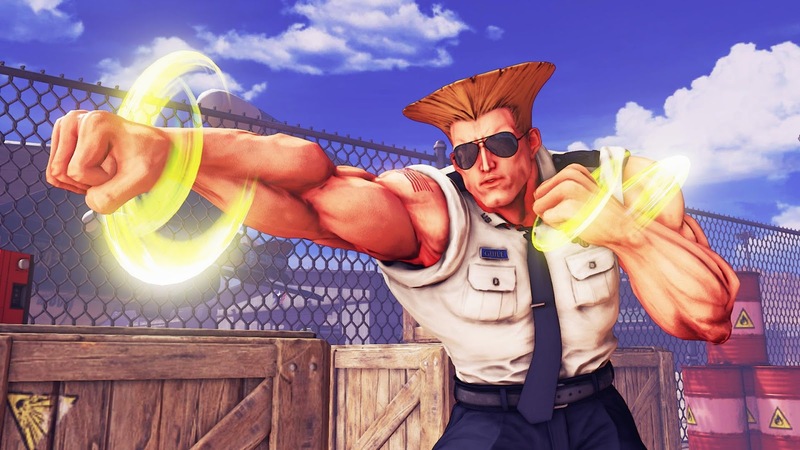 Guile Flash Kicks His Way Into Street Fighter V! SONIC BOOM! Guile, one of the most iconic and popular Street Fighter characters of all time, has been recruited and is ready for his tour of duty in Street Fighter V. As one of the original eight World Warriors in Street Fighter II, Guile retains his classic ground and air fighting style, while adding an array of new weapons to his arsenal this time around. Guile arrives with his individual Character Story and his own set of Trials and is available beginning now in North America for all Street Fighter V players on PS4 and PC. Joining Guile’s release today is the first new stage to be added to Street Fighter V post launch. Guile’s Air Force Base returns with a shiny new jet, a next-gen boom box and some familiar background characters that fans may recognize from their Street Fighter II days. This stage is available beginning now in the In-Game Shop for 70,000 Fight Money. Season Pass holders will receive this stage for free as a thank you for their continued support of Street Fighter V.
Also included in the Street Fighter V update is the first implementation of a system to punish players who frequently disconnect during matches (aka rage quitters). The system will continue to be refined over time and more enhancements will be implemented in the future. Additionally, a number of improvements to the matchmaking system have been made, which speeds up the time it takes to find an opponent and simplifies the process of creating and connecting to Battle Lounges.